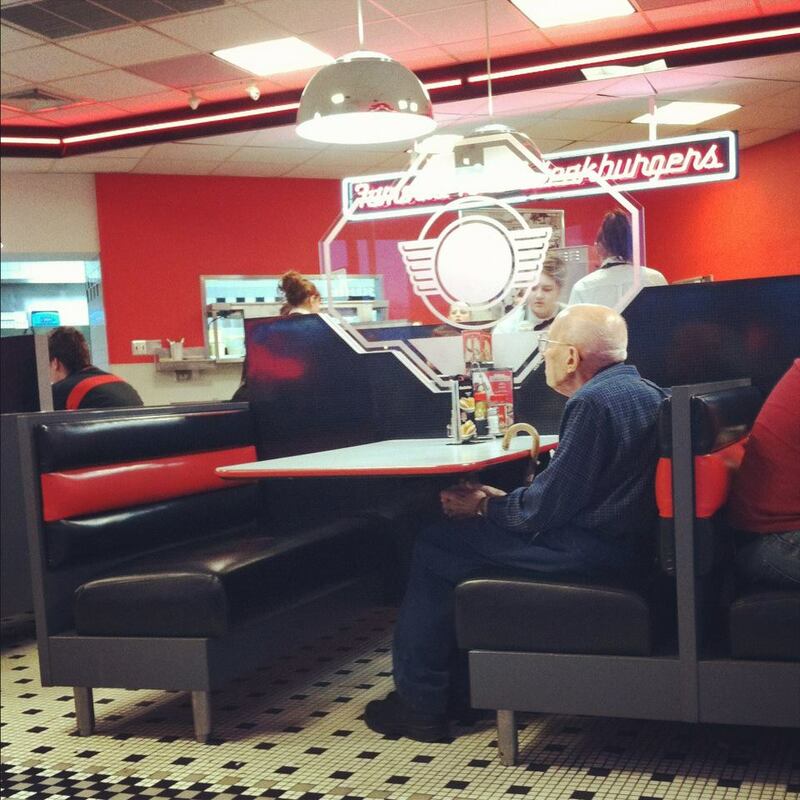 He went to Steak n Shake with his wife every year for valentine’s day since before he was married. This was taken on his first year without a valentine. I hope someone sat and ate with him. Ahh seedbud, I had the same thought as well, but if they didn’t sit I hope someone was kind enough to stop and say hello. Too many elderly people are in need of a touch of kindness, it doesn’t cost anything to stop and say hello and pass the time of day. This is heartbreaking. The love he’s showing by being there is very touching. I agree with seedbud. I hope he didn’t eat alone. I don’t know if it is heart breaking… maybe he feels here there? This made me want to crawl into the photo and sit down and ask him to tell me about her.